All available scores for Sorry's Not Good Enough are in the section below. Sorry's Not Good Enough was penned by McFly. 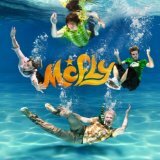 If you would like to leave a review of the McFly sheet music on this page, then please click on the tab "Comments". Feel like telling your mates about this piece or arrangement? In that case click on the green share button and decide how you would like to share this page. You can choose from 1 arrangement for 4 instruments for the composition Sorry's Not Good Enough.